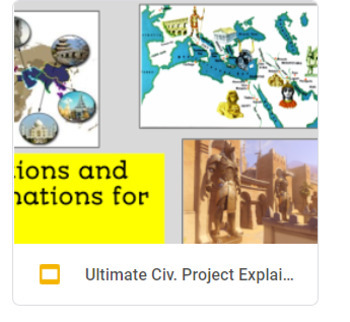 Ultimate Civilizations Incredible 10 day or more Activity! From Brackets, Exemplars, Explanations, Teacher Versions, and Student Skeletal Formats - You have it all! 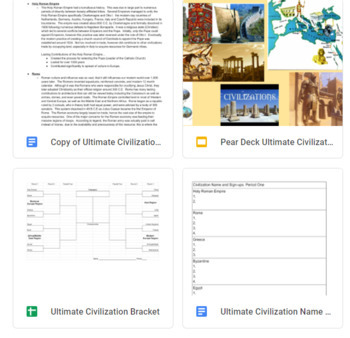 Basically, students will hear about 16 civilizations and gradually create a bracket and then an ultimate winner and a project to go with it. You just need to read over the materials - but everything is DONE for you! Students will create their own presentations and you even have listener feedback forms all done!